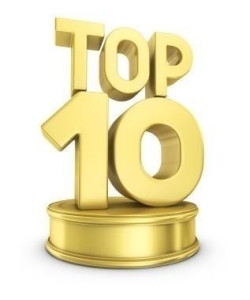 There are top 10 lists for everything these days. Just from doing a Google search, we came up with ’10 Awesome Things You Should Know About John Wayne’, ’10 Unsung Heroes Of Colonial America’ and ’10 Societies Buried Beneath Your Feet’. Those all sound fascinating and you should definitely check them out, but since you’re interested in a real estate career, we’re going to share the Top Ten Reasons To Join Keller Williams Realty! With the ever-changing real estate market, aligning yourself with the right real estate brokerage is essential. To have the best opportunity for success, you must be in business with a company that is going to help you thrive in every economy, not just a good one. While there are tons more reasons, these are the top 10 on why you have to join KW. Made up of the top 20% of the agents in each office, the ALC is the voice for all the agents. The main purpose of this council is to hold management and ownership accountable in running the market center and allowing associates to have a say in how the office is run. A truly empowering feature that treats agents the same as the owners. We all have a say in how the office is run. The ALC is also essential in helping new agents. Being involved in mentoring and teaching allows new agents to get into production faster. As the only company in the industry with a true profit sharing system, KW rewards agents with a portion of company profit for helping the company grow. Instead of wasting millions of dollars on advertising to attract more associates, as most traditional brokerages do, we leave the growth to you, the agent. Help a market center grow by attracting new talent and be financially rewarded for it. It’s a true win-win scenario and the ultimate retirement package for a real estate agent. The Keller Williams commission structure allows you to make more money than with any other company. Every agent has a cap on the total amount of commissions paid in a given year. Once you reach your cap, you keep 100% of your commissions. Don’t reach your cap, you’re not required to pay anything. Our goal is to help grow your business. The office only gets rewarded when you succeed, as it should be. Being part of a company that truly cares about you is extremely hard to find these days. KW puts the needs of its agents first and treats all associates as family. Our motto is ‘God, Family, Then Business.’ When you follow this order, all will be well in your life. We want all associates to have successful careers, but spirituality and family come first! Keller Williams has set out to change how real estate is done. Most importantly, we are doing this to protect our associates from companies that wish to replace you with technology. By building our own technology platform, KW Command, we have become the Amazon of real estate. You now have the opportunity to give the best customer experience to your clients, providing metrics and customization the real estate industry has ever seen. We continue to forge ahead as a technology company, not a real estate company. Investing $1 billion over the next decade to maintain our edge over the competition will continue to make KW the real estate company of choice. It’s YOUR real estate business! You are in control of your career, not your broker. Traditionally, agents worked for the broker and relied heavily on them to succeed. Keller Williams changed that. We wouldn’t be in business without our associates, so the only thing we want to do is help you build your business. We’re here to empower you with the right tools to build the business you want and deserve. Don’t wait any longer. You owe it to yourself/your family to have a career worth having, a business worth owning and a life worth living! Join KW today!